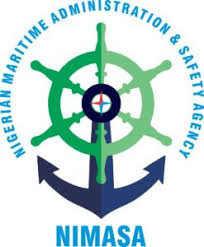 The Nigerian Maritime Administration and Safety Agency (NIMASA) on Monday said it had commenced search and rescue operations for the abducted 12 crew members onboard MV GLARUS owned by ALLISON Shipping, which was hijacked off Bonny Island in Rivers State, to ensure that they are found and released unconditionally. Speaking in Lagos on Monday the Director General of the Agency, Dr. Dakuku Peterside stated that NIMASA was working closely with the Forward Operation Base (FOB) and the Falcon Eye of the Nigerian Navy along with other relevant security Agencies. Dr. Dakuku who condemned the act noted that the Agency is saddened about the attack and assured that NIMASA will not leave any stone unturned in the rescue mission. He also assured that the perpetrators of this act and others of its kind are brought to book. “The issue of piracy in the Gulf of Guinea is a challenge we acknowledge and we are determined to tackle it head-on. We will continue to collaborate with the Nigerian Navy and other relevant partners to ensure we bring it to a halt. Zero tolerance to piracy and all forms of illegalities on our nation’s waterways is our goal”, the DG said. It would be recalled that NIMASA recently adopted total spectrum maritime security strategy which is a multidimensional approach that includes investment on intelligence and partnership with relevant security Agencies to curb maritime related crimes. it also include building of Nigeria’s response capabilities with the use of Fast Intervention Vessels and the review of our laws, especially the anti-piracy bill which will give the Agency the legal backing to prosecute issues relating to piracy on our waters.